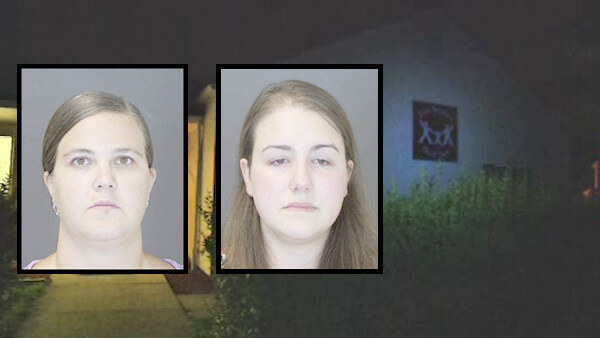 SOUTHAMPTON, N.Y. -- Southampton police say two teachers at the Side by Side Child Care center were arrested for force feeding, pushing and slamming kids to the floor. The women worked in the infant room tending to children ranging from 4 months old to 18 months old. Kathleen Culver, 33, and Sarah Dawber, 23, are charged with endangering the welfare of a child. Investigators say one 18-month-old child vomited from a forced feeding, but no other injuries were reported. Detectives are asking any parents and guardians of children who have attended the Day Care to contact them if they have any information that may aid in the continuing investigation at 631-702-2230.